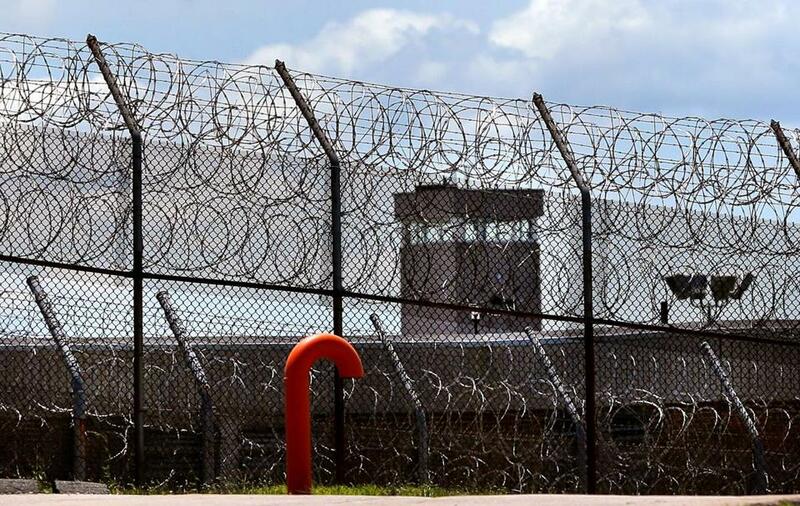 An independent monitoring group will open an office inside troubled Bridgewater State Hospital for the next two years to make sure that prison guards and clinicians continue reducing their use of isolation and physical restraints on mentally ill patients, under a deal with the state that averts a lawsuit. “The agreement guarantees that over the next couple of years, someone will be in there watching, looking at the data, talking to the patients and staff, and really trying to make sure that people are treated appropriately as patients and not as prisoners,” Christine M. Griffin, the executive director of the federally funded Disability Law Center, which reached the agreement with the Patrick administration, said Tuesday. The center had threatened to sue Massachusetts for what it said were widespread human rights abuses at Bridgewater, where the Globe has identified three deaths in recent years related to the use of restraints to control patients. Under the agreement worked out over the last five months with Governor Deval Patrick, the center will not sue as long as the state follows through on a host of promises of better care, including a plan to move most of the patients to a proposed facility at an undetermined location to be run by the Department of Mental Health. Carol Higgins O’Brien, Patrick’s newly named Department of Correction commissioner, praised the agreement. “We look forward to continuing this good work with DLC and other stakeholders to further strengthen care for patients at” Bridgewater State Hospital, she said. The agreement stops short of meeting one of the Disability Law Center’s central demands: transferring control of the facility from the Department of Correction to the Department of Mental Health. The group released a scathing report in July charging that prison officials are not qualified to run the mental health facility. However, Patrick has filed a sweeping legislative proposal that includes the establishment of a new, secure facility under the management of the Department of Mental Health for Bridgewater patients who may be violent but are not serving criminal sentences. That represents about 80 percent of the patients being treated at Bridgewater today. And Griffin said her organization will continue to pursue the goal of transferring control of Bridgewater State Hospital itself when Governor-elect Charles Baker takes office in January. “We made no bones about the fact that we still think this should be a DMH facility,” Griffin said. Bridgewater State Hospital, a state prison that offers mental health care to men who have come in contact with the criminal justice system, houses a wide array of mental health patients, from dangerous convicted criminals to men charged with minor infractions such as misdemeanor assault and battery who are undergoing psychiatric evaluations for their competency to stand trial. 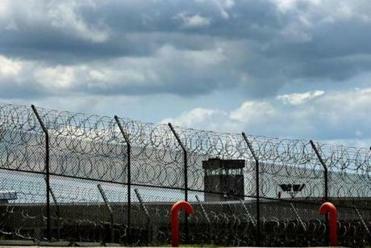 As of a week ago, only about 58 of Bridgewater’s 265 mental health patients were serving criminal sentences. The Disability Law Center launched a six-week, on-site investigation into practices at Bridgewater after a series of stories in the Globe, including a detailed account of the death of Joshua K. Messier, a 23-year-old mental health patient sent to Bridgewater for a psychiatric evaluation who died as guards wrestled him into four-point restraints, cuffing his wrists and ankles to a small bed. After Messier’s death, Bridgewater officials increased the use of four-point restraints by 27 percent at a time when officials at similar institutions in other parts of the country were dramatically reducing their reliance on these tactics, concluding they were dangerous and often harmful to the well-being of mental health patients. A more recent Globe story recounted the deaths of two more mental health patients — Bradley Burns and Paul Correia — whose deaths were attributed by the state medical examiner’s office to the use of restraints. Burns was held in five-point restraints for 16 months, 23 hours a day, before he died of a heart arrhythmia. Under the agreement with the Disability Law Center, the administration has pledged to discontinue the use of five-point restraints — strapping a patient down by chest, wrists, and ankles — altogether and to revise its official policy on the use of seclusion and restraints by mid-January. Meanwhile, Bridgewater State Hospital officials have replaced existing restraint beds with larger, more comfortable beds, and cut the overall use of restraints by 86 percent and the use of seclusion by 68 percent, since January, according to the Department of Correction. ■ training of prison guards and clinical staff in the proper use of restraints and in ways to calm patients so that restraints aren’t needed. ■ the creation of “cool-down” rooms for agitated patients. ■ increased efforts to transfer Bridgewater patients to existing Department of Mental Health facilities. Still, the Patrick administration has said Bridgewater officials will continue to face significant challenges that can be met only with financial assistance from the Legislature. Bridgewater faces a shortage of mental health clinicians compared with facilities run by the Department of Mental Health. At Bridgewater, each psychiatrist is responsible for twice as many patients as psychiatrists at Department of Mental Health facilities, according to the Department of Correction. In addition, staff members at Bridgewater have faced an increase in the number of assaults by patients as they have relied less on seclusion and restraint to control them. Administration officials and lawyers working under Attorney General Martha Coakley also are nearing a settlement of a separate class action lawsuit filed earlier this year on behalf of patients who allegedly endured prolonged seclusion and restraints for weeks or even months at a time. State laws say these measures can be used only in emergencies. Roderick MacLeish Jr., the attorney representing Bridgewater patients, praised Patrick for reaching an agreement with the Disability Law Center, adding that he expects to reach a settlement next week. @globe.com. Follow him on Twitter @RezGlobe.